If you've ever seen Tod Browning's 1932 horror classic Freaks then you know who Schlitzie is. If you've never seen Freaks, well, you need to get on seeing Freaks. But even if you've never seen Freaks then you still might know who Schlitzie is, at least if you've been around these here parts of the blogosphere before, because I have posted about him often. (We try to recognize his birthday every September 10th.) 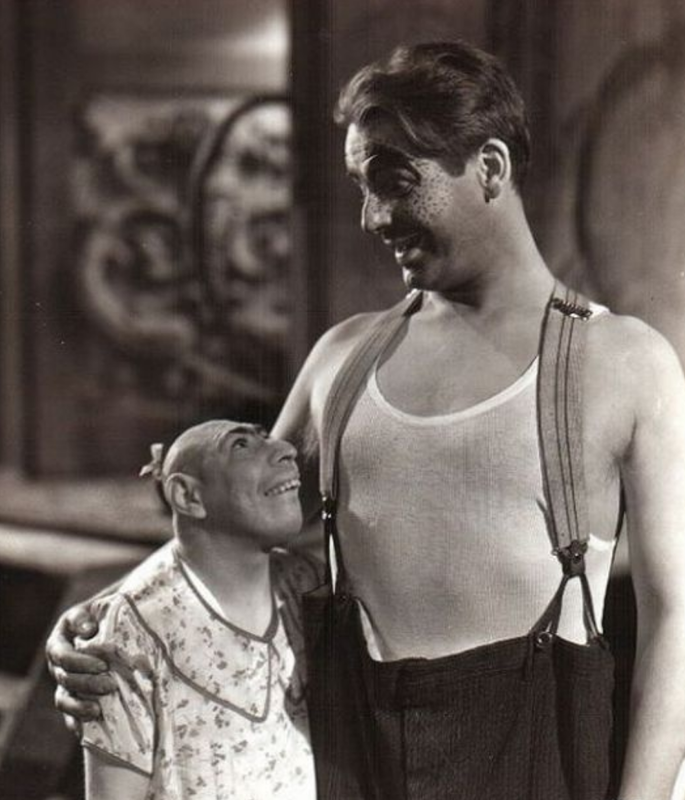 Anyway Schlitzie was a circus performer with microcephaly who steals Tod Browning's whole damn movie with his charm, and I'm not alone in this fondness -- he's become such a cult icon that he's about to get his own damn documentary! Read about the project at that link and then click on over here to donate a buck or two to help get it made. The world needs his story!